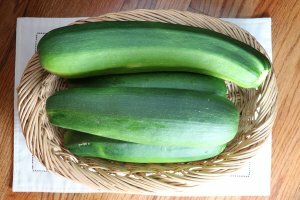 Swimming in zucchini or green squash? 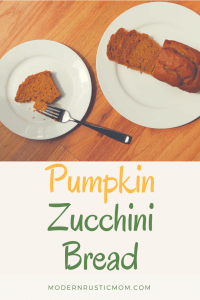 Try making some pumpkin zucchini bread or pumpkin zucchini muffins. I always find it a struggle to use up all of the zucchini after the initial garden excitement has turned into an overrun of tomatoes, squash, and beans. Muffins are an easy way to sneak in extra nutrition. 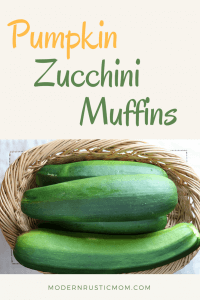 These pumpkin zucchini muffins are a healthy snack idea for toddlers and grown-ups alike! I struggle with nutritious snacks that are minimally processed and don’t break the bank. Turning the garden bounty into healthy and freezable snacks is my go-to strategy. For years, I struggled with paper muffin cups. They would inevitably get smashed in the cupboard or half the muffins would peal off with the liner. I was excited to find these reusable (and dishwasher friendly!) silicone muffin cups and loaf pans. They keep their shape in the cupboard and easily fit in regular muffin tins. Muffins peel away from the sides super easily without needing baking spray or extra oil. The only trouble I have now is my daughter trying to sneak away with these colorful cups into her play kitchen. 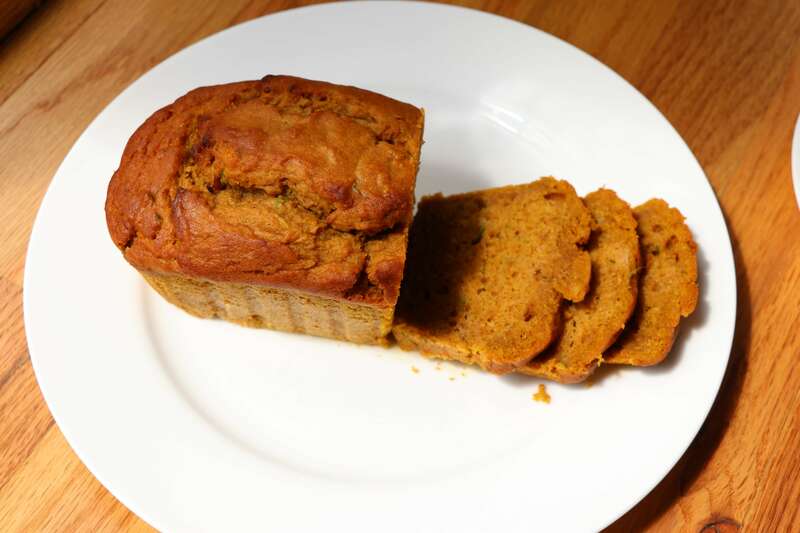 Moist, healthy, and scrumptious pumpkin zucchini muffins or bread. Perfect for an afternoon snack. Makes 36 muffins or 12 muffins and 4 mini loaves. Grate zucchini on box grater into colander. Squeeze out excess water. 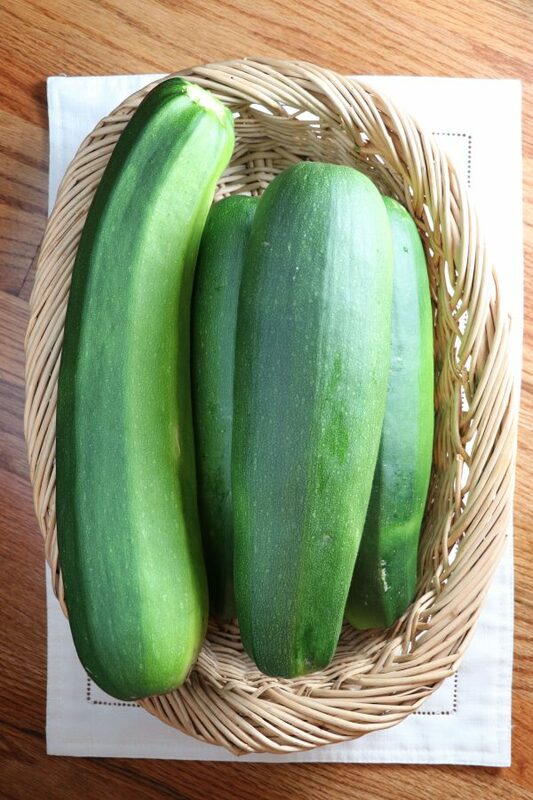 If more than 2 cups of zucchini, grate the rest and freeze in air tight bag. Mix pumpkin, zucchini, milk, brown sugar, vanilla, vegetable oil, and eggs. 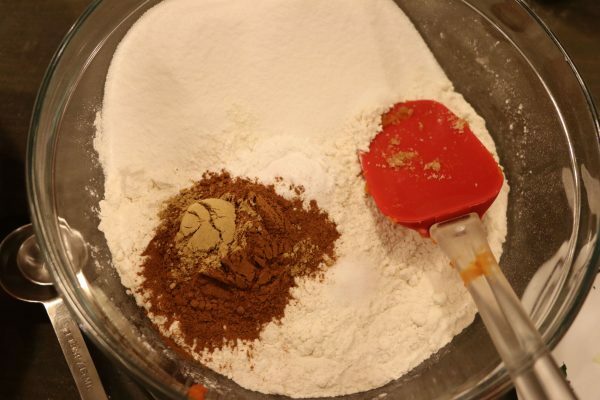 Mix salt, baking soda, baking powder, sugar, cinnamon, and flour. 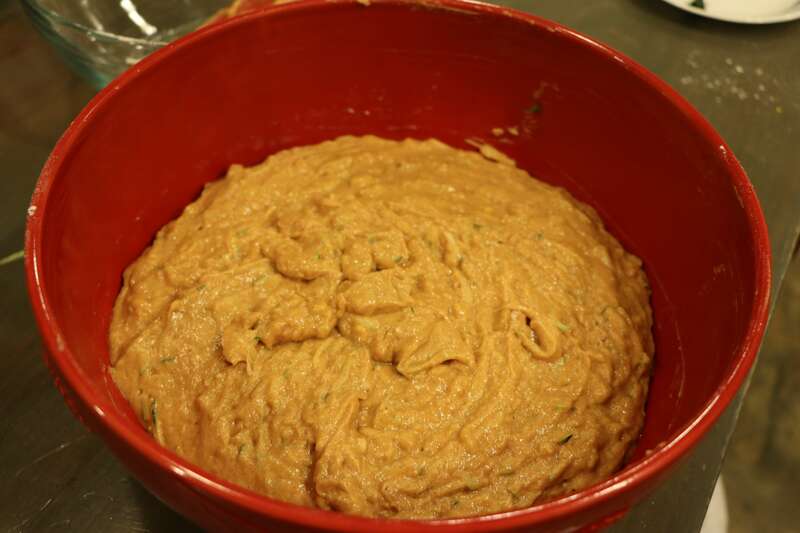 Gradually mix dry ingredients into wet mixture until incorporated. Do not over-mix. 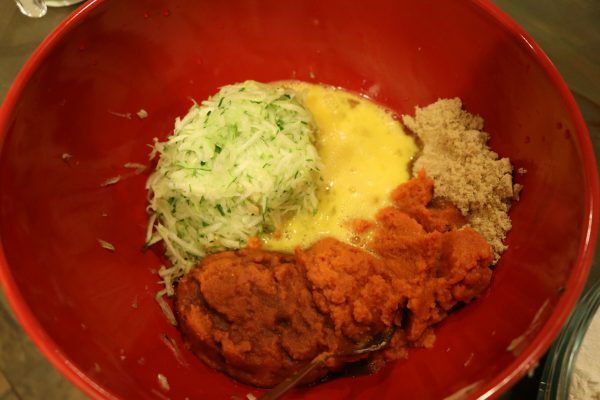 If using optional ingredients, mix in now. Fill muffin tins and/or loaf pans. Bake muffins 25-30 minutes until top springs back. Bake loaves 30-35 minutes. Each muffin should be slightly less than 1/4 cup. Let sit for 5 minutes then remove and let cool on a wire rack. Pack in bags to eat during the week or wrap and freeze to toss in a lunchbox. These also freeze well to use as a lunchbox snack idea. If making into a big loaf, cut into slices then freeze. They'll double as an extra ice pack. What do you do with too much zucchini? What’s your favorite pumpkin recipe?